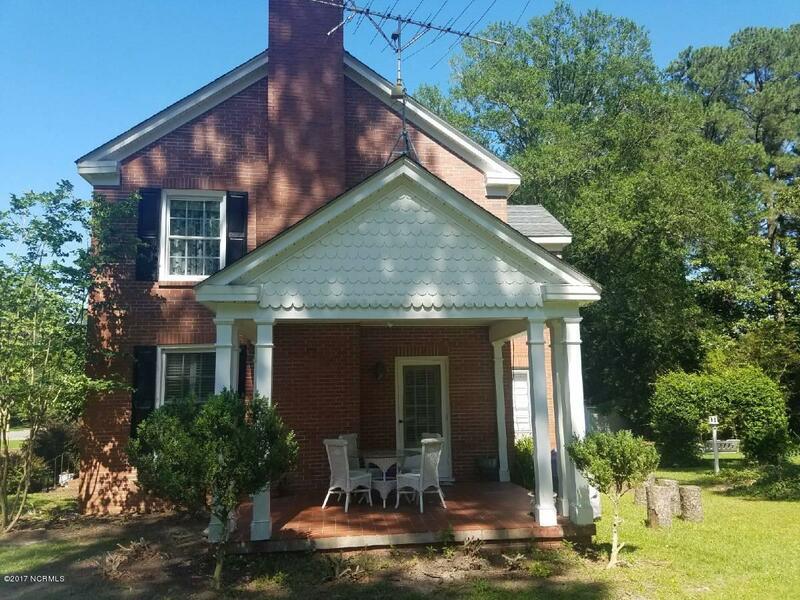 Beautiful colonial home on picturesque East Hill Street in historic Warsaw, NC. Original home had 3 bedrooms, 2 full baths, and a small sewing room upstairs. 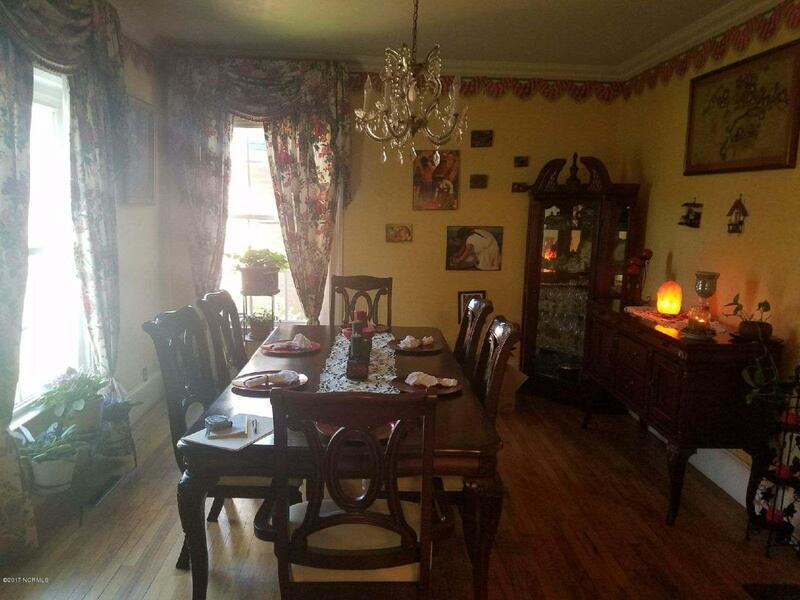 Downstairs had formal living and dining rooms, kitchen/dining, den, full bath, and laundry room. The den is designed to easily convert to a bedroom. Situated on a slight slope, one steps down into a home addition of two rooms, huge full bath and room suitable for master bedroom/office. 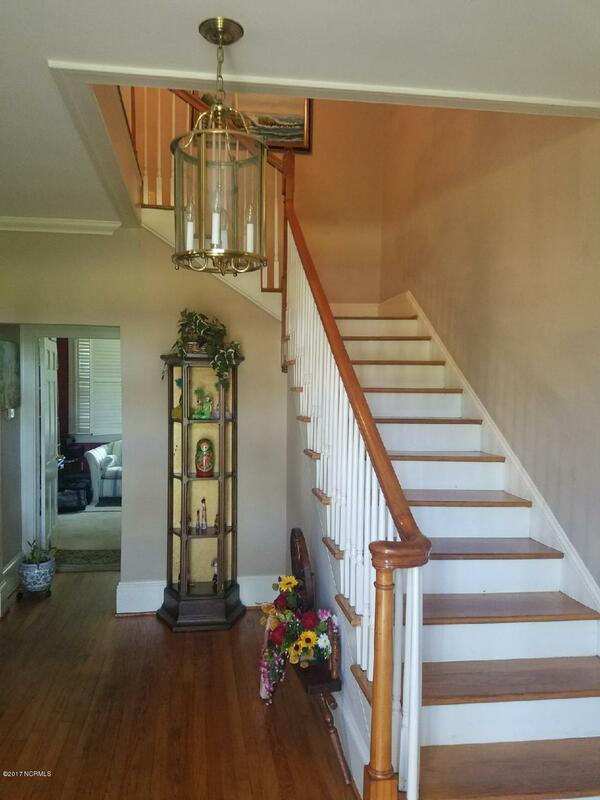 9' ceilings, wood floors, crown molding, and wide baseboards are present throughout. Well landscaped, a quaint side porch invites one outside where the sound of church bells ringing can be heard daily. An outside storage building is located at the back of the lot. This home has a private paved drive with parking for 3-4 cars. Motivated seller! 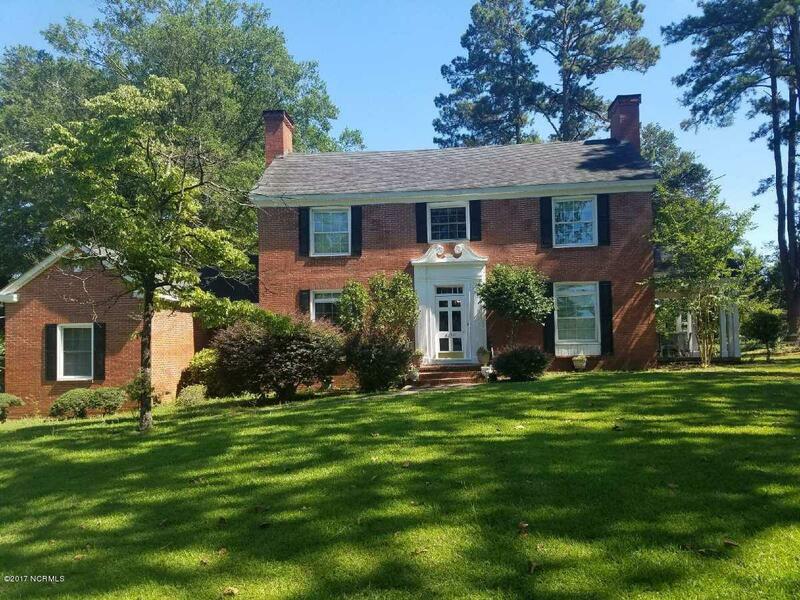 Listing provided courtesy of Dora H Jernigan of Simpson Real Estate Group Inc.